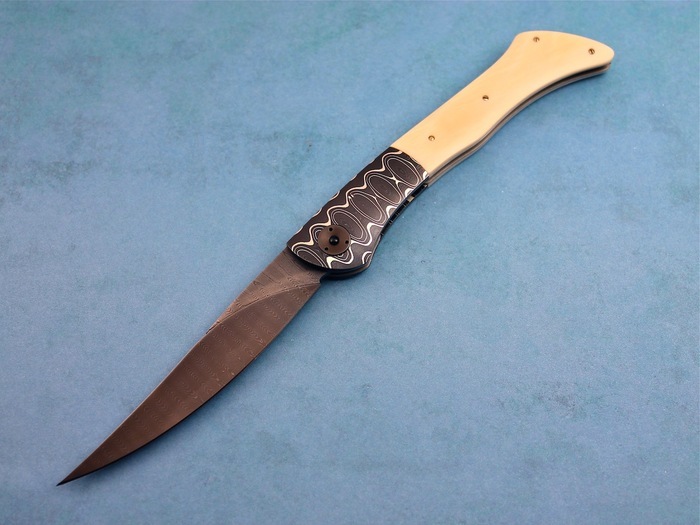 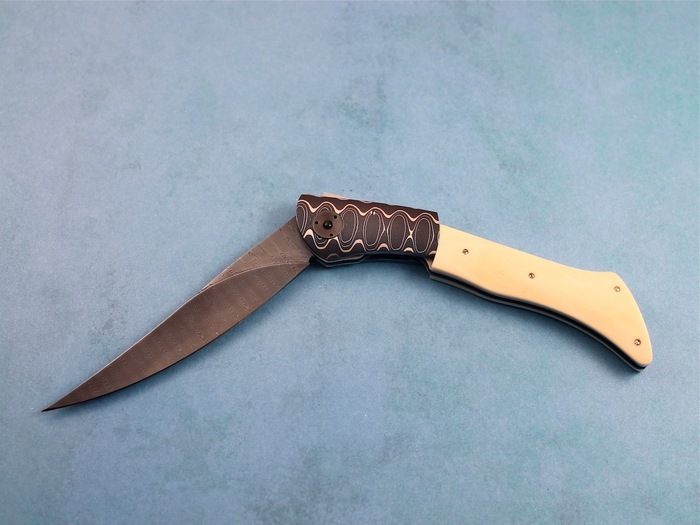 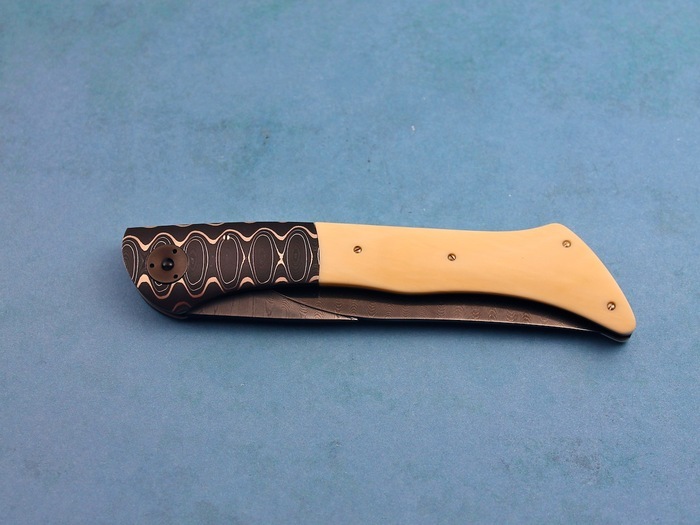 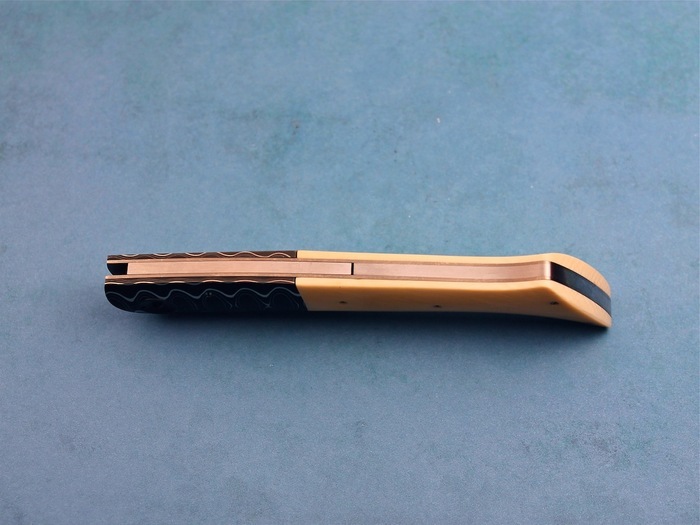 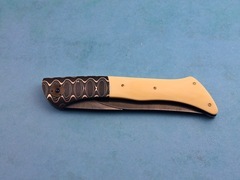 A beautiful "Makiti" model Folder by Bertie Rietveld. This folder has Bertie's awesome Bertie-Lock Tilt Mechanism. 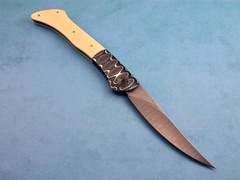 It closes by applying pressure to the middle of the bottom of the knife, right where the bolster and handle meet. A very elegant and smooth action folder.